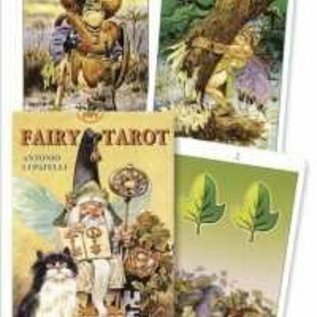 A perfect blend of whimsy and depth, The Fairy Tarot will charm you with their enchanting images and clever symbolism. True to the cunning Fairy nature, odd and thought-provoking Latin mottoes on the Aces introduce each suit. The suits reflect the Fairy lifestyle (Acorns, Hearts, Leaves, and Bells). 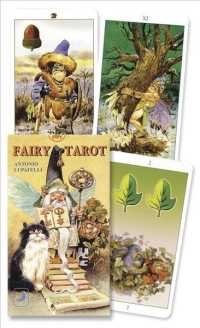 Deck includes 78 full-color cards and instruction booklet.